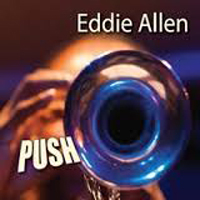 Trumpeter, composer, arranger, author...Eddie Allen is one of the more versatile musicians on the New York scene. He's called upon to play everything from jazz (big band as well as small ensembles) to R&B/Pop to latin to symphonic to Broadway, and everything in between. He studied music, theory and arranging at the Wisconsin Conservatory of Music in Milwaukee and the University of Wisconsin in Green Bay before moving to the east coast. He then attended the William Paterson University of New Jersey where he received a Bachelor of Music degree. 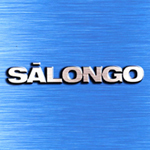 Since his arrival on the New York scene he's worked with such jazz greats as; Art Blakey, Billy Harper, Randy Weston, Dizzy Gillespie, Henry Threadgill, Bobby Watson, Jon Faddis, Benny Carter, Panama Francis, Joe Henderson and Steve Turre. He's performed in the orchestras of such Broadway hits as: Ain't Misbehavin', Black & Blue, Side Show, Jelly's Last Jam, Five Guys Named Mo' and Rollin' On the T.O.B.A. As an author, he's written the instructional method book, An Introduction To The Bb Concert Blues, which is published by Charles Colin Publishing - N.Y.C. He's currently leading a quartet, a quintet, a Latin/Brasilian project and a large ensemble which brings together acoustic and electric/electronic instruments. He also leads a big band which not only plays his compositions and arrangements, but also the music of such jazz greats as Jimmy Heath, Bobby Watson, Muhal Richard Abrams and Rufus Reid as they come to lead the band. Eddie Allen continues to work as a freelance musician and clinician. 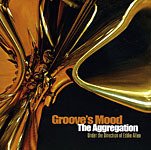 Eddie Allen and the Aggregation Release "Groove's Mood"
All About Jazz musician pages are maintained by musicians, publicists and trusted members like you. Interested? Tell us why you would like to improve the Eddie Allen musician page.